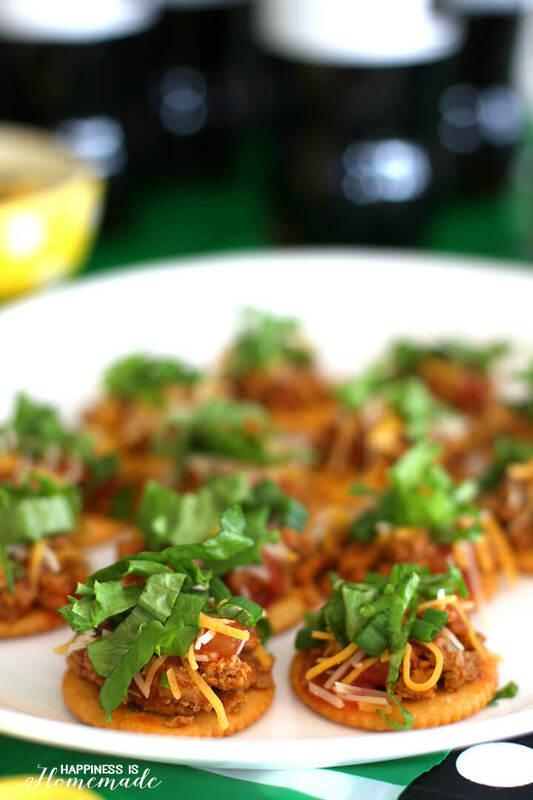 These crisp and buttery taco RITZwiches are the perfect quick & easy afternoon snack (and they’re a great way to use up leftovers from Taco Tuesday!)! My family honors the tradition of Taco Tuesday at least twice a month, and I always make sure to cook enough taco meat so that we will have leftovers for the next day. 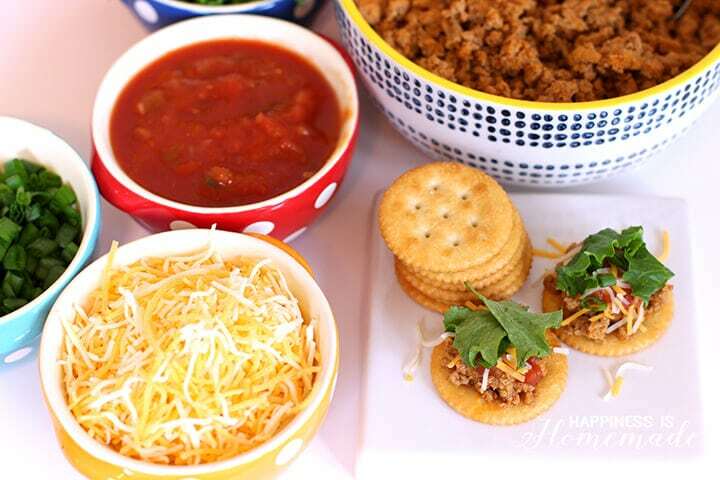 My favorite way to use up those leftovers is by stacking them all up on top of buttery RITZ® crackers – we call ’em Taco Stackers or Taco RITZwiches, and they’re always a HUGE hit! Be sure to pin this recipe to your favorite snack or appetizer board (just hover over an image and click the “pin it” heart in the upper left hand corner! ), and follow Happiness is Homemade on Pinterest for more recipes and creative inspiration! 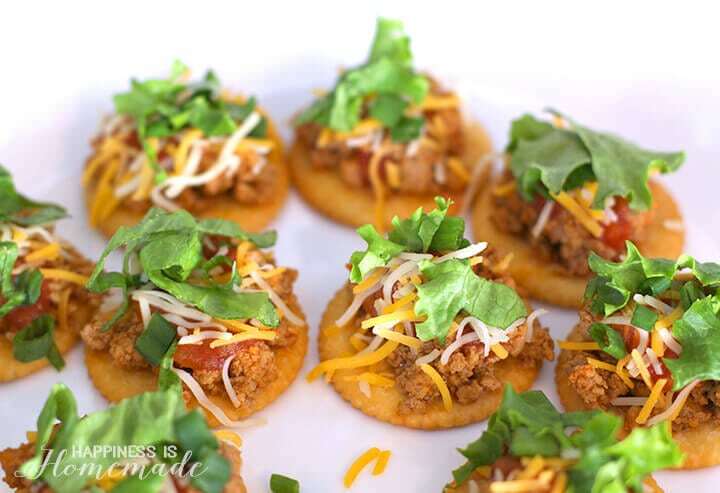 To make Taco Stacker RITZwiches, simply top a RITZ cracker with leftover seasoned ground turkey, salsa, shredded cheese, green onions and lettuce (and/or any other taco toppings you prefer). You can top the stacker with another RITZ cracker or leave it open faced like I’ve done here. SO easy, and super yummy! 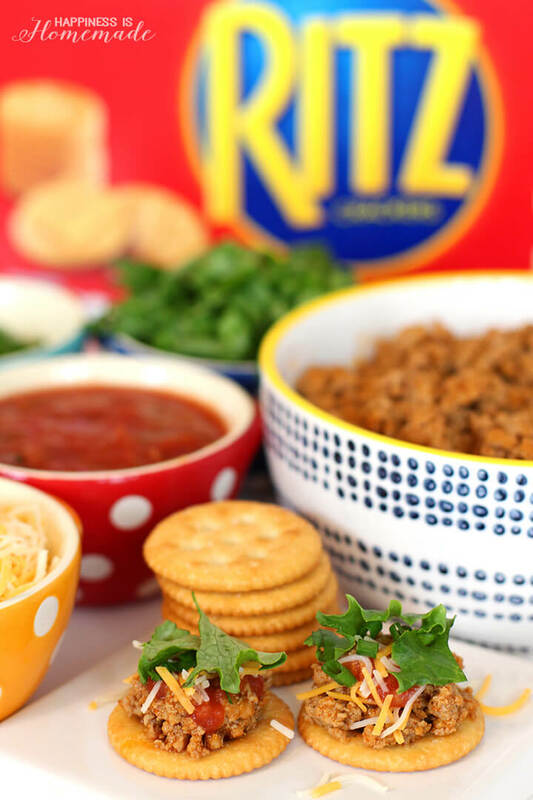 My family is always racing out the door to my boys’ sports practices and games, and these taco RITZwiches are a great pre-game snack that keeps us feeling full and satisfied until dinnertime. 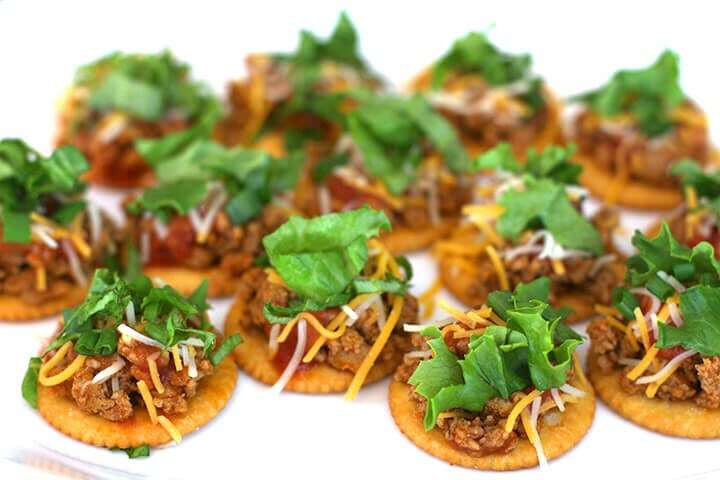 I love to serve these taco RITZwiches at parties, too, and they always disappear within seconds! 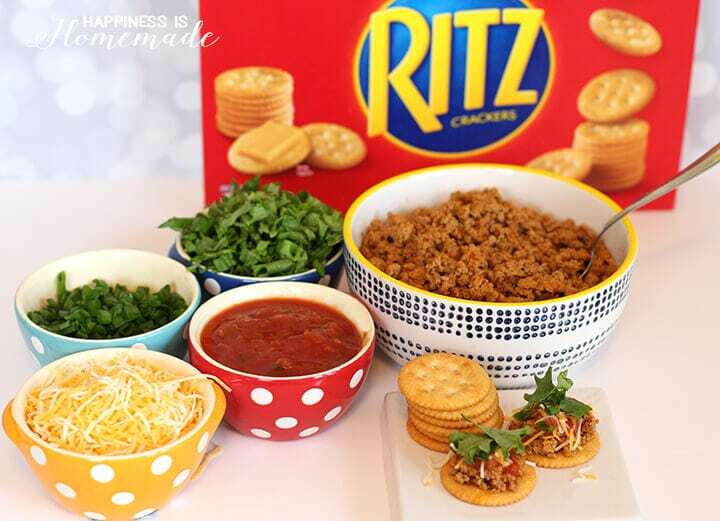 We love playing around with new flavors and experimenting with different RITZwich creations. Next on our to-make list is this Cream Cheese & Mango Salsa RITZwich recipe, and this Quesadilla Fresca RITZwhich recipe from Safeway (where we got all of the ingredients for our yummy Taco Stacker RITZwiches! ), looks pretty delicious too! Check out the video below to see how to make it! What’s your favorite RITZwich flavor?